In this collection of sound files, I wanted to capture everyday places that were fairly accessible and familiar in everyday life. I came up with four places, the supermarket, an exhibition museum, a shopping mall and an international airport. 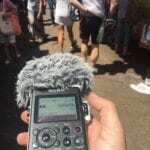 These were recorded mainly from a static listening point as people and objects pass by. In the case of some of the sounds from the airport these were recorded from the perspective of a person moving through it. 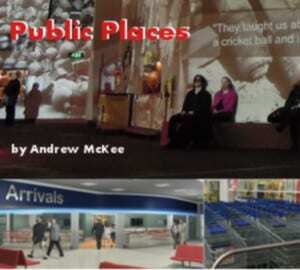 The collection of sounds include people chatting and walking, footsteps, wheeled suitcases being pulled along a moving walkway, kitchen noises from a large cafe in a big open space, security announcements, traveling inside a very large elevator, mechanical moving walkway and a multi-storey car park adjoining.